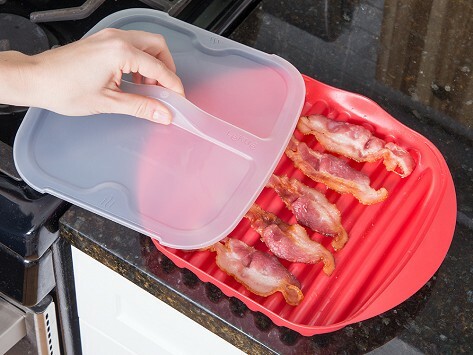 Cooking bacon in the microwave just got easier. Lékué's Bacon Cooker fits six slices of bacon and cooks them in under 5 minutes. 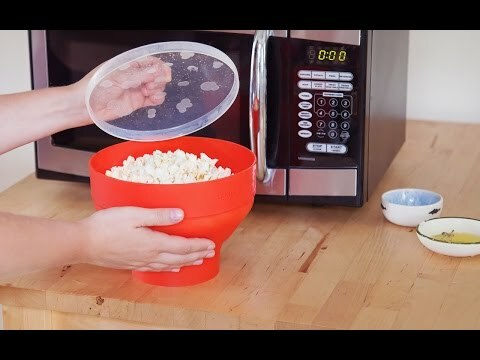 The grill-type base allows for easy draining of excess fat and the included lid prevents any spattering to keep your microwave clean, too. Dimensions: 9.84" x 10.91" x 2.68"